There are times when you must admit your limitations and hire a professional. Sometimes these professionals don’t understand you are the customer and have the right to direct the service they are rendering. As an example, plumbing is not, in and of itself, very complicated. What makes a repair expensive is replacing broken parts, making new parts to fit, repairing collateral damage caused by the well-intended efforts of a non-professional to fix a simple problem with the wrong tools and limited training. In college I had the opportunity to work as a plumber’s assistant. I saw first hand at how expensive it was to repair the damage done by weekend-plumbers. I also learned why there was a nice, new Mercedes parked discreetly behind the plumber’s shop. When you call a plumber you, as the client, have the need to know what the repair will cost in time and money before hiring the person. 1 – The scope of work. 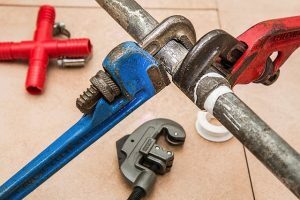 2 – What material is required to make the repair, what it will cost the plumber, where the material will be sourced and the plumber’s relationship with the vender. 3 – How long the repair will take once started. 4 – The hourly rate of the plumber and what the hourly rate of the plumber’s assistant, if any, is. 5 – When the plumber can start. Then ask for a breakout bid on the project showing the costs, by category, for material, labor and overhead. If this is a large project, you have every right to ask for the plumber to allow you to buy the material or to have him sell it to you at his cost. You should also ask for a not-to-exceed labor cost and provide that if the project takes less time you will be credited back the time/cost saved. 1 – To understand the scope of work to be done and what is not covered. Being fully aware of the second part is essential as that is where you will be exposed to costly overruns. 2 – To incentivize the plumber to do good work but stay on time and not inconvenience you more than necessary. 3 – Get the best price possible for a good job. 4 – Most important, to avoid surprises after the work starts! Professionals are very skilled in specific areas but they are your employees. Do not be afraid to question what they say or do if you have questions or concerns. It is their job to satisfy your expectations. It is your job to explain clearly what you expect from them. As they are the experts, you should not be responsible if they make a mistake in estimating the job or when at work. While they will want you to pay for their mistake, remind them you hired a ‘professional’ to avoid such mistakes. In Seven Secrets to WINNING Without Losing a Friend, I discuss ways to manage the professionals you need to rely on.